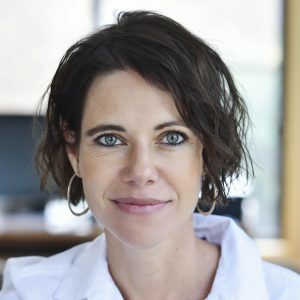 Felicity McLean is the author of The Van Apfel Girls Are Gone. Part mystery, part coming of age story, The Van Apfel Girls Are Gone is the enthralling story of three sisters who go missing one night in the long hot summer of 1992. Previously, Felicity has worked as a journalist and also as a ghostwriter, most recently for Liesel Jones, with whom she wrote Body Lengths. I was born, raised, and schooled in Sydney, which means I have the innate ability to steer any conversation towards real estate. Speaking of, have you seen auction clearance rates this week? When I was twelve I wanted to be Josephine Alibrandi from Melina Marchetta’s Looking for Alibrandi. That novel was my talisman starting high school. By eighteen I’d discovered university life and I wanted to be a professional student forever. I managed to stretch out my innings to five years, or the equivalent of 127,974 days at the uni bar. At thirty I had published two books and was writing a third. I had a new baby, and I was pregnant with my second child. My only aspiration at thirty was to sleep. That we would stop before we destroyed the planet. 4. What were three works of art – book or painting or piece of music, etc – you can now say had a great effect on you and influenced your own development as a writer? Robert Dessaix’s Night Letters opened my eyes to the possibilities in fiction. I can’t listen to Radiohead’s album OK Computer without wanting to pick up a pen. And when it comes to film, Sophia Coppola has a lot to answer for. Have you ever heard me sing? 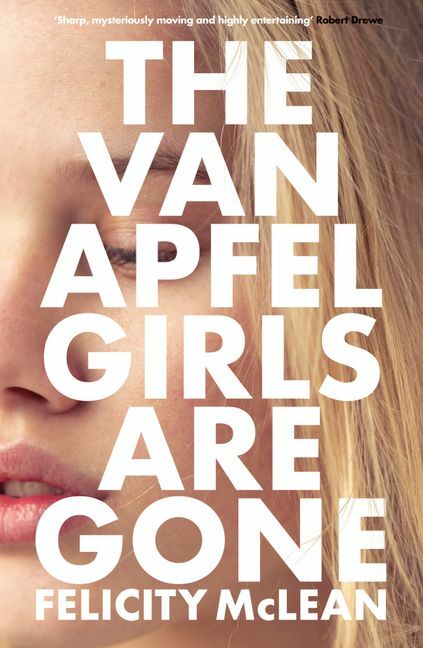 The Van Apfel Girls Are Gone is a blackly comic, coming-of-age story that occurs during a single, sweltering summer – the summer the three Van Apfel sisters disappear. Set in 1990s suburbia, in an eerie river valley with an unexplained stench, the story is narrated by friend and neighbour, Tikka Malloy. But Tikka is only eleven and one-sixth, and far too close to the missing girls for her narration to be considered completely reliable. Tikka explains that Hannah, Cordelia and Ruth Van Apfel vanished during the school’s outdoor ‘Showstopper’ concert. As the Van Apfel girls’ oppressive religious home-life is revealed, and as suspicions are raised about Cordie’s relationship with a local teacher, it fast becomes apparent that something more sinister may have happened on the night the Van Apfel girls disappeared. Twenty years later, Tikka is back in the valley, and she’s no less obsessed with the Van Apfel girls. Their disappearance might remain an inexplicable mystery, but its effect is palpable. The Van Apfel Girls Are Gone traverses some dark territory, but it does so in a blackly comic way. The humour in the novel is not intended to make light of the topics raised; rather it’s a way of tackling some difficult subjects such as domestic abuse. I hope readers walk away more willing to talk about some of these taboo topics. I also hope they laugh inappropriately throughout the novel. I admire Colum McCann for the pure poetry of his prose. I have a new story idea that I’m just itching to write. To get this thing down on paper is ambition enough for me. 10. What advice do you have for aspiring writers? Read. Read widely and voraciously. Sure, reading will teach you everything you could ever want to know about writing. More importantly: you can call it work even when the rest of us know you’re so obviously just hooked on your book. 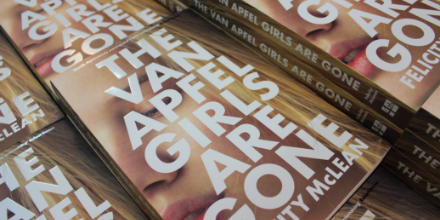 Felicity McLean’s novel The Van Apfel Girls Are Gone is available now. Tikka Molloy was eleven and one-sixth years old during the long hot summer of 1992 - the summer the Van Apfel sisters disappeared. Hannah, beautiful Cordelia and Ruth vanished during the night of the school's Showstopper concert at the amphitheatre by the river, surrounded by encroaching bushland. Now, years later, Tikka has returned home to try and make sense of the summer that shaped her, and the girls that she never forgot.